Lanxess says that it is raising its prices for Durethan A (polyamide 6.6) compounds in Europe, Middle East and Africa by EUR 0.60/kg with immediate effect. 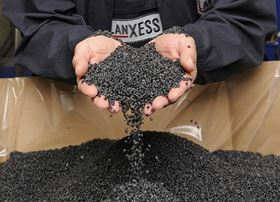 Lanxess added that its materials business unit will offer support in exploring opportunities to replace PA 6.6 applications by PA 6 or PBT grades. Following a good Q1, chemicals company Lanxess has raised its earnings forecast for fiscal 2016. Chemicals company Lanxess says that it has made a global increase in the price of some of its dye products.